Walking pneumonia is an infectious form of pneumonia, although it is the least dangerous type of pneumonia. Mild pneumonia normally does not require any hospitalization. In many cases, people can have pneumonia without even knowing it. Walking pneumonia is a not a medical term, it used to describe a mild case of pneumonia. Walking pneumonia is also called atypical pneuma since the disease is different from acute cases of pneumonia caused by bacteria. Walking pneumonia is the result of a lung infection from the bacterial microorganism called pneumonia. People who have contracted walking pneumonia are rarely bed-strikend and confined to the hospital. Some people may even feel well enough to go to work and carry on their regular activities and routines, as if they have a cold. Who Typically Gets Walking Pneumonia? Anyone person at any age can get walking pneumonia. Mycoplasma is the most common cause of walking pneumonia in older children and adults younger than 40 years old. Individuals, who live and work in very populated locations, such a schools, homeless shelters, airports, prisons, have a higher risk of contracting the condition. This risk is due to walking pneumonia being a contagious condition. It can spread when a person comes in contact with droplets for someone comes in contact with the droplets and nose and throat or someone who has walking pneumonia who coughs or sneezes. Cases of walking pneumonia become more common in late fall and summer. However, these infections show no pattern through the year in how it infects people. Although it is contagious, it spreads slowly. The infectious period typically last less than ten days. Research also indicate that it may prolonged periods of close contact with an infected person fro someone else to contract to walk pneumonia. However, there is still widespread outbreaks every four to eight years for one reason or another. 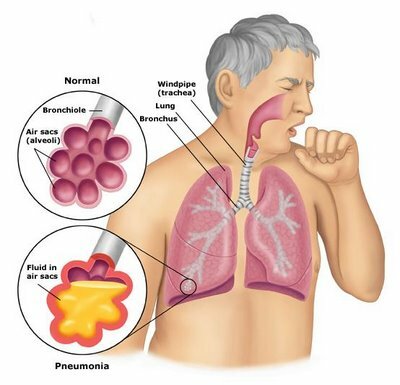 When this these outbreaks occur walking pneumonia may account for as many as one out of two cases of pneumonia. 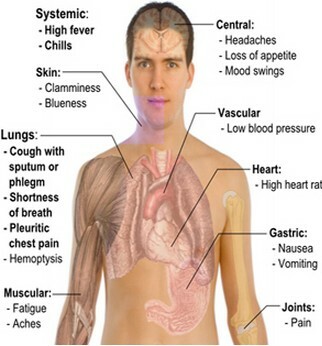 Symptoms can start to appear around 15 to 25 days after someone has had exposure to mycoplasma, and these symptoms will develop slowly over the period of two to four days. They may cough violently with spasms that produce mucus, Mild flu-like symptoms such as the chills. Linger weakness that may persist afteer other symptoms goes away. Some individual with pneumonia may also get anemia, ear infection or a skin rash. How will a doctor know that you have Walking Pneumonia? Their many cases where walking pneuma is never diagnosed because people do not seek help. The doctor will take a physical exam and look at your medical history to determine a diagnosis. The doctor will also ask you about symptoms and how long have you had them. The doctor will ask you about your place of work or anyone at home that may also be sick. In the physical examimation, your doctor will use a stethoscope to listen to your chest. The doctor may also request an X-ray and blood test be conducted. Within the blood test, the doctor will be able to determine if there is a mycoplasma infection. This is rarely done unless there-there is a widespread outbreak. Another blood test can be used to identify the increase of certain immune substances called cold agglutinins. Cold agglutins check the conditions that make certain types of antibodies, The cause red blood cells to clump together (agglutinate) at low temperatures. However, this test will not determine if someone has walking pneumonia only suggest it. How to Treat Walking Pneumonia? Walking pneumonia can be treated with antibiotics. Mild infections may not need to be treated at all and will clear up on their own. The treatment will allow you feel better within a few days. There are many over-the-counter drugs that you can use for colds or flu but may not offer complete relief from symptoms related to walking pneumonia. It is important to talk to your doctor before deciding on taking medicines. You should also drink plenty of fluids and water, and get plenty of rest. If I had walking pneumonia, Can I get Again? There is is a certain level of immunity that happens after someone has already had walking pneuma. Immunity to walking pneumonia is not permanent, and it is is unclear how long it last in a person. You could still develop walking pneumonia again. However, it may be milder. There is no vaccine for mycoplasma infections, there is no way to prevent it. There are things that you can do to reduce the likelihood of getting this condition. Exercise, and wet a well-balanced diet. You should also get enough sleep. Exercise,rest, and proper nutrition should keep your body health, and better able to resist infection. Wash your hands frequently, it is the best way from spreading germs or ingesting germs into your body. Do not Smok. Smoking damages the lungs, A damage lung is susceptible to infection. Cover your mouth with your sleeve when you a cough or sneeze. You should urge other do the same. Coughing and sneezing are the primary ways of spreading infectious agents .